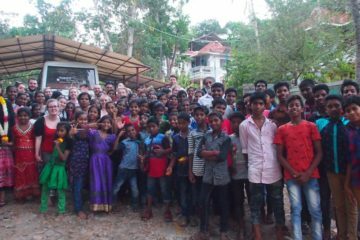 Pozhiyoor is a small fishing village located in an impoverished district of Kerala, where most people live below the poverty line. 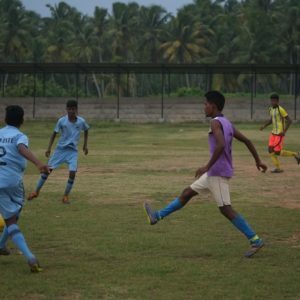 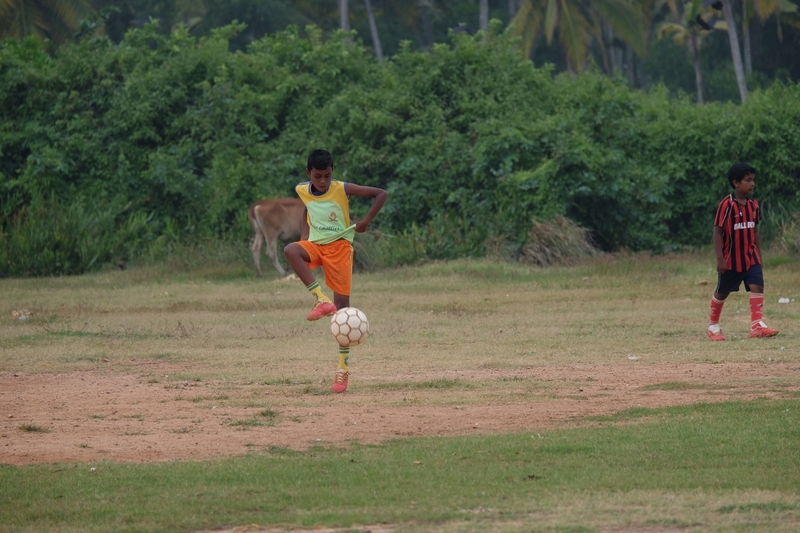 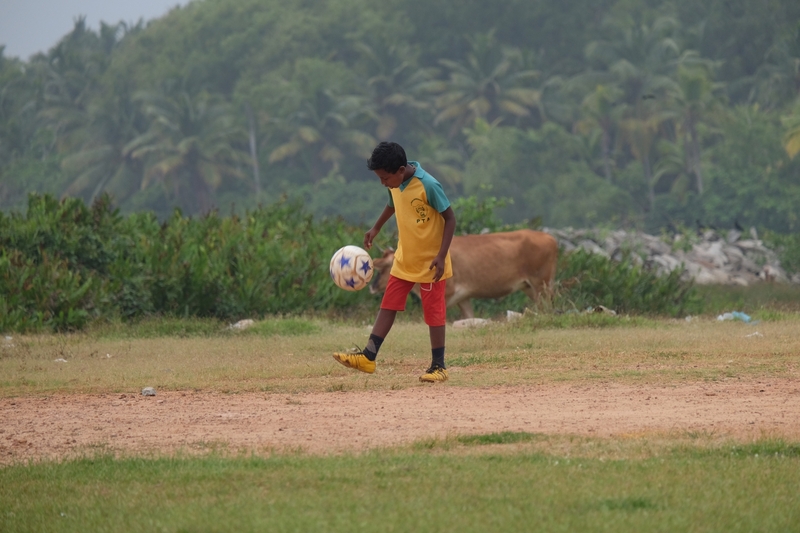 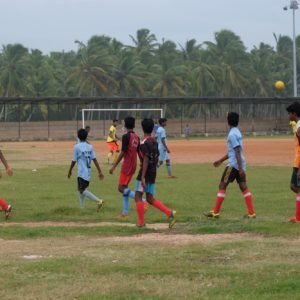 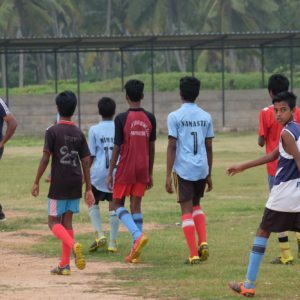 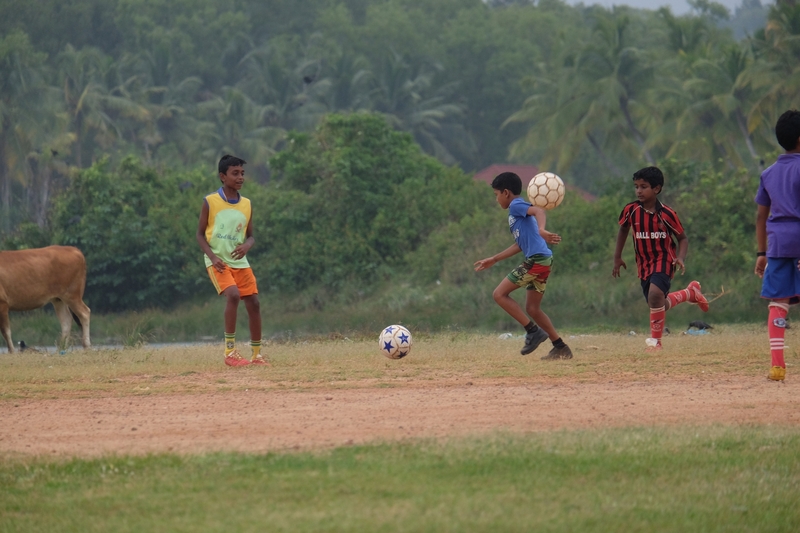 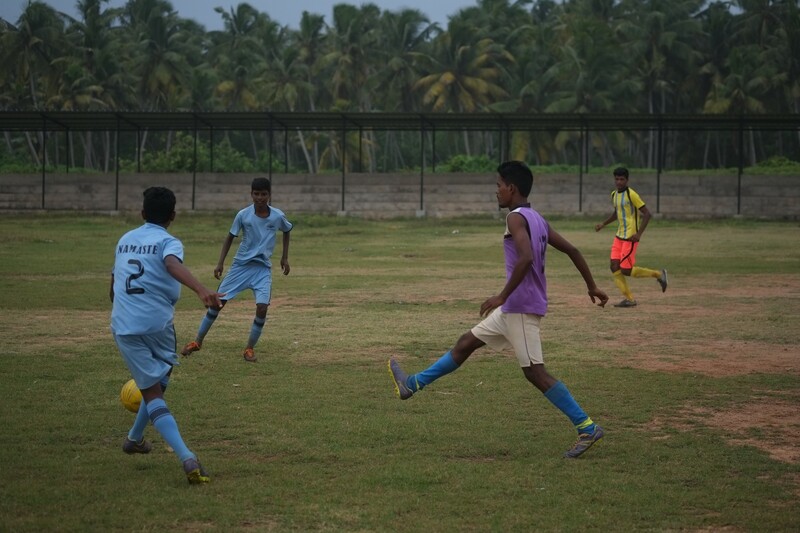 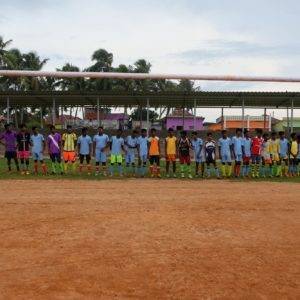 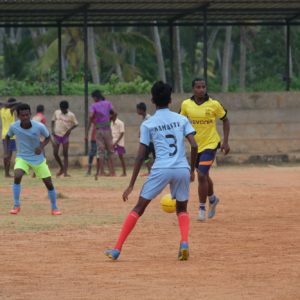 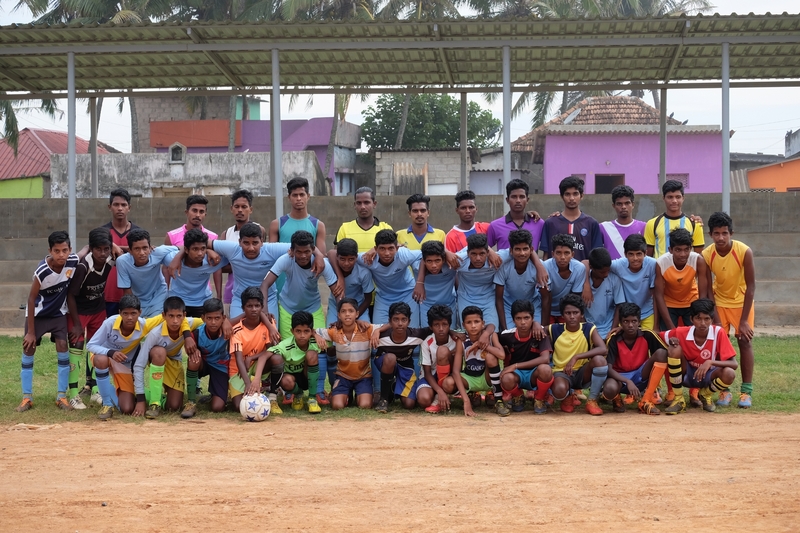 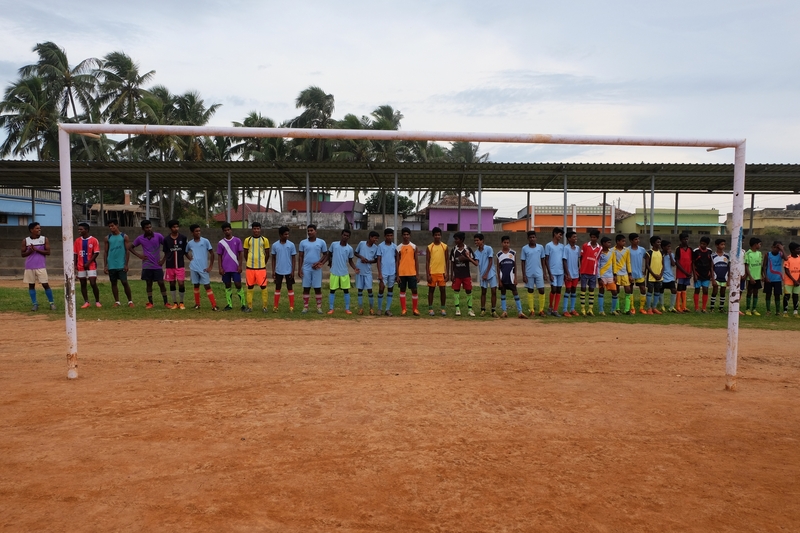 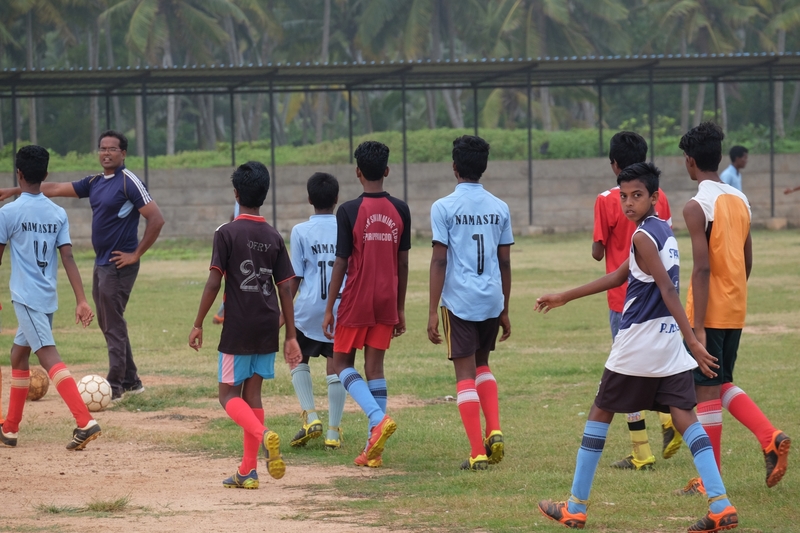 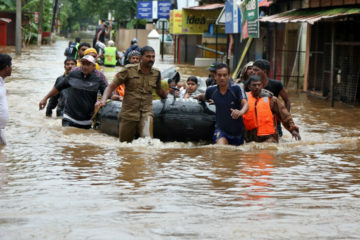 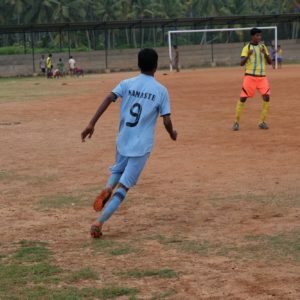 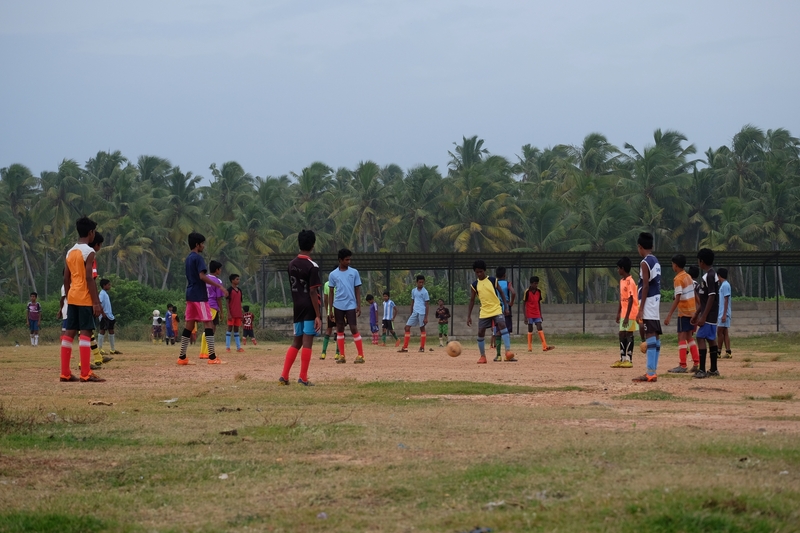 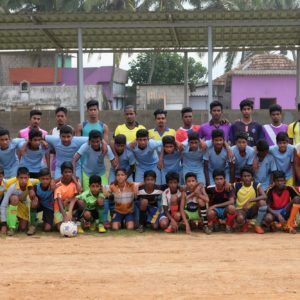 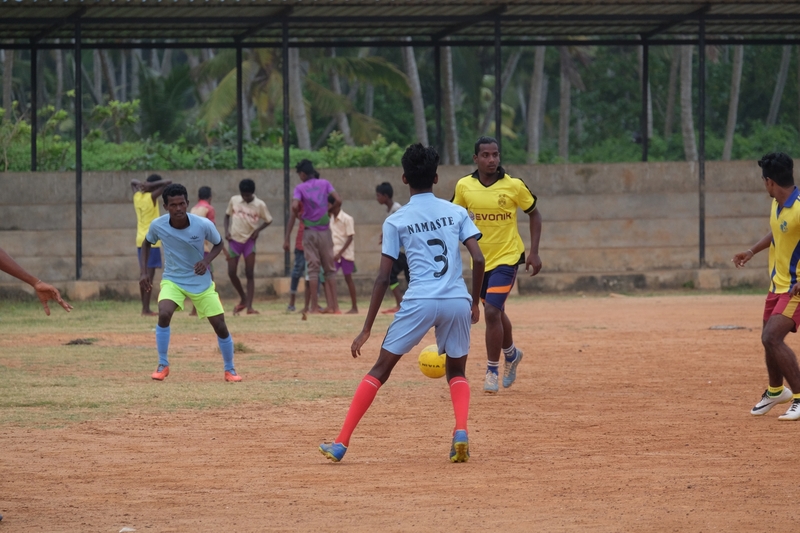 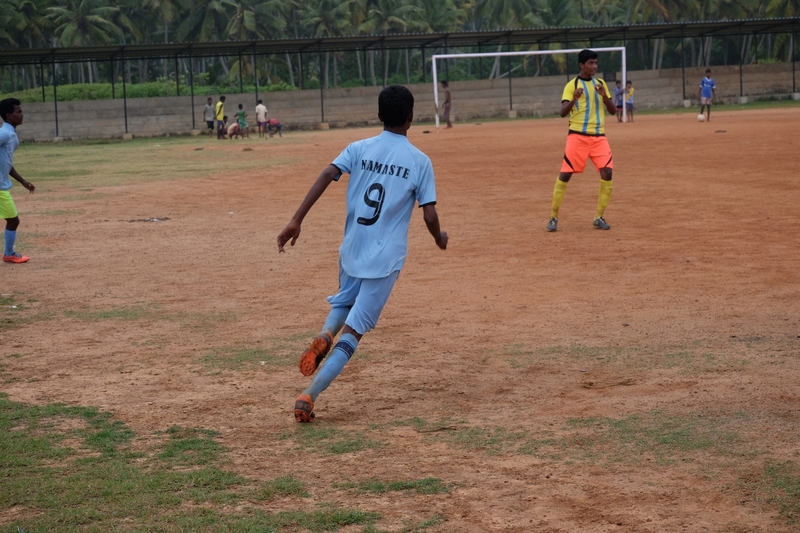 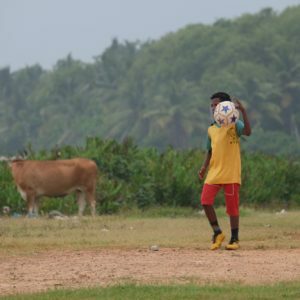 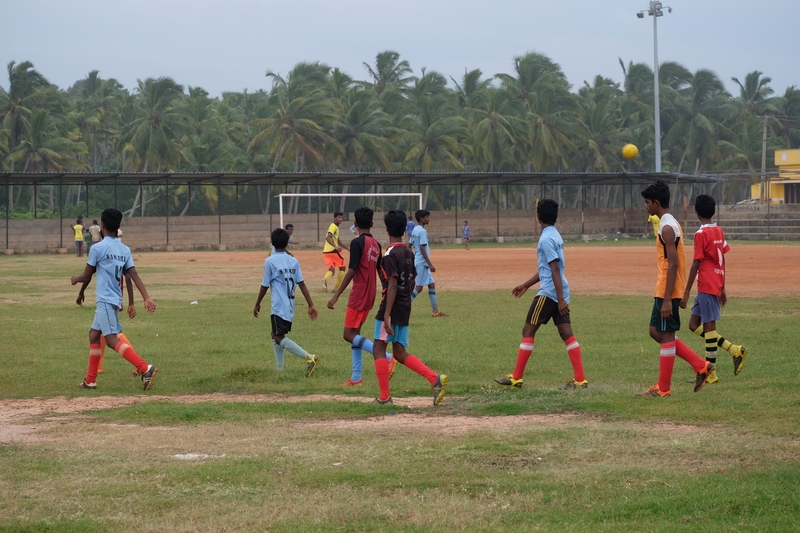 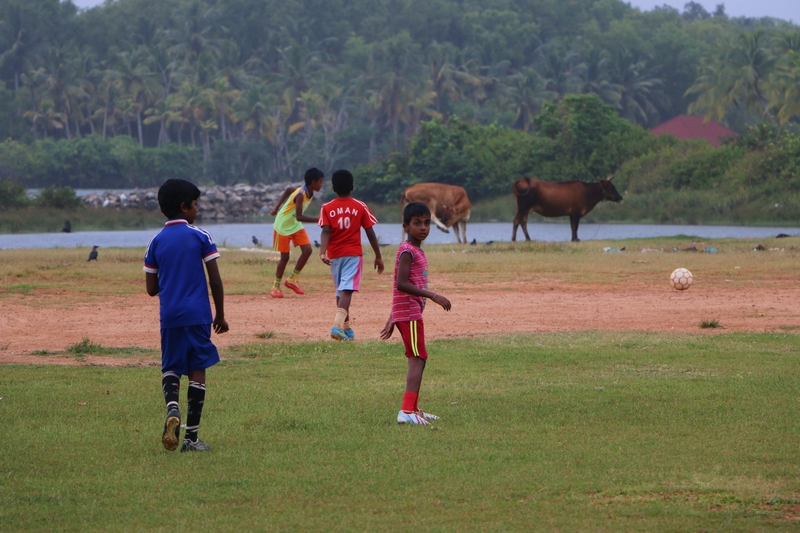 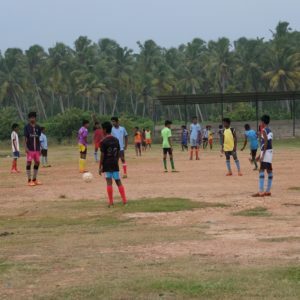 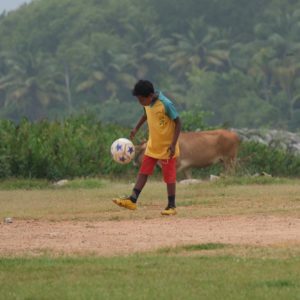 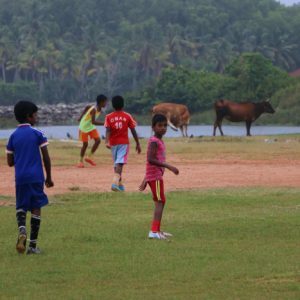 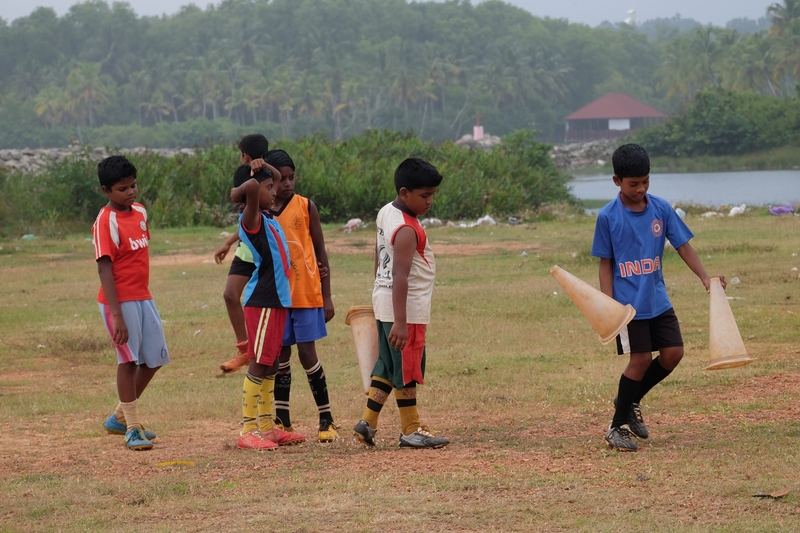 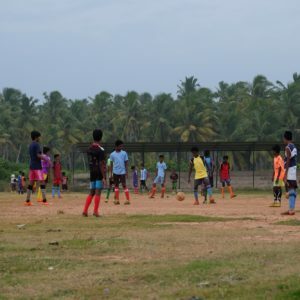 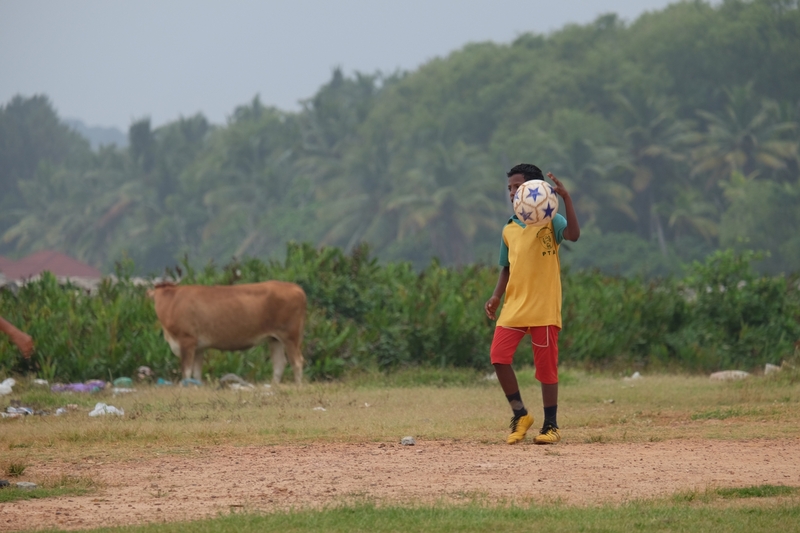 Behind Pozhiyoor’s church and close to the sea lays a ground sports field. 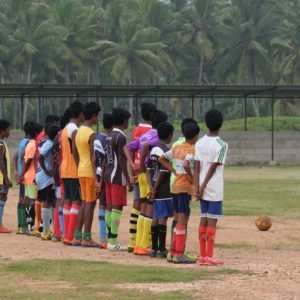 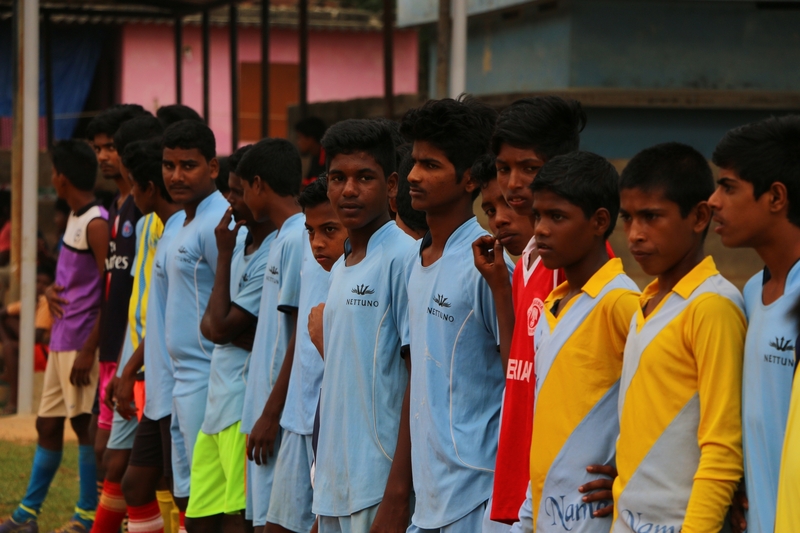 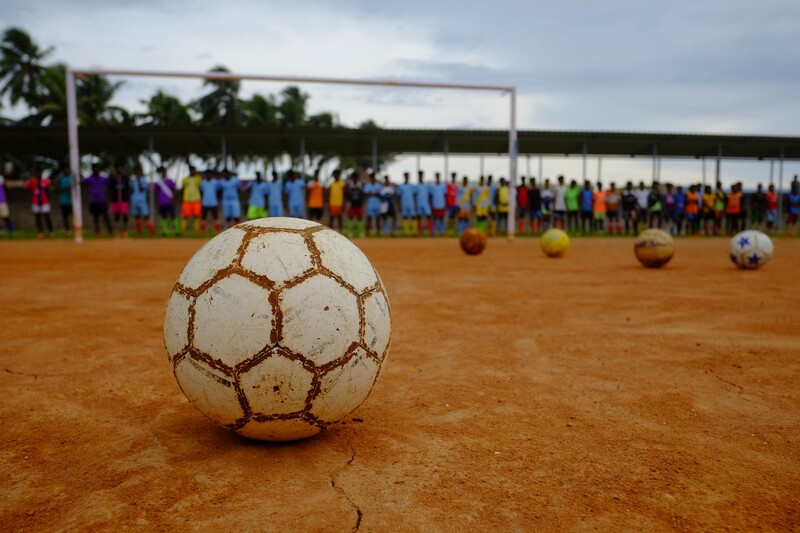 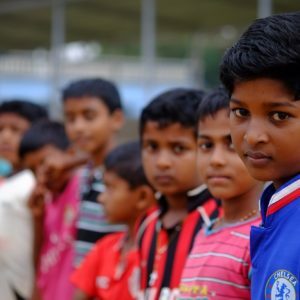 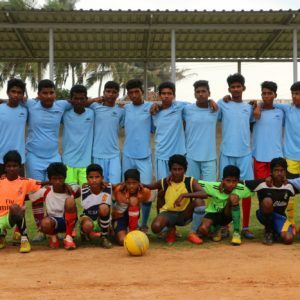 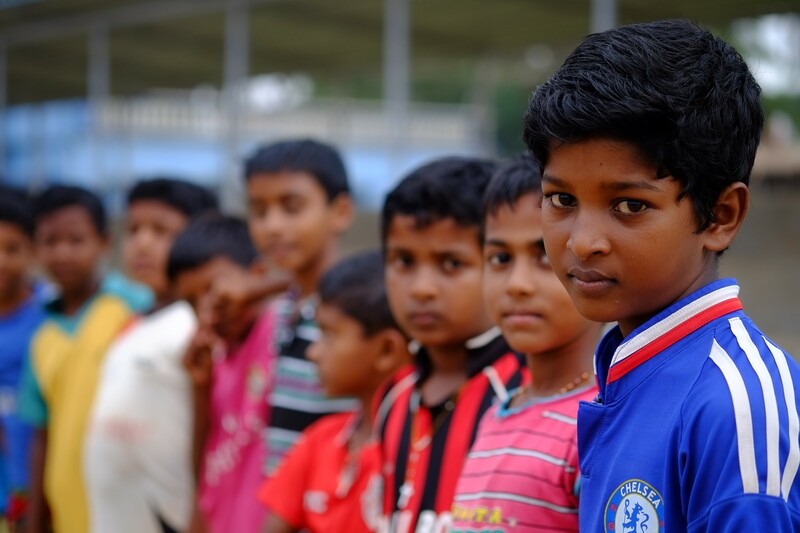 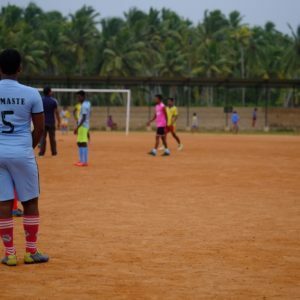 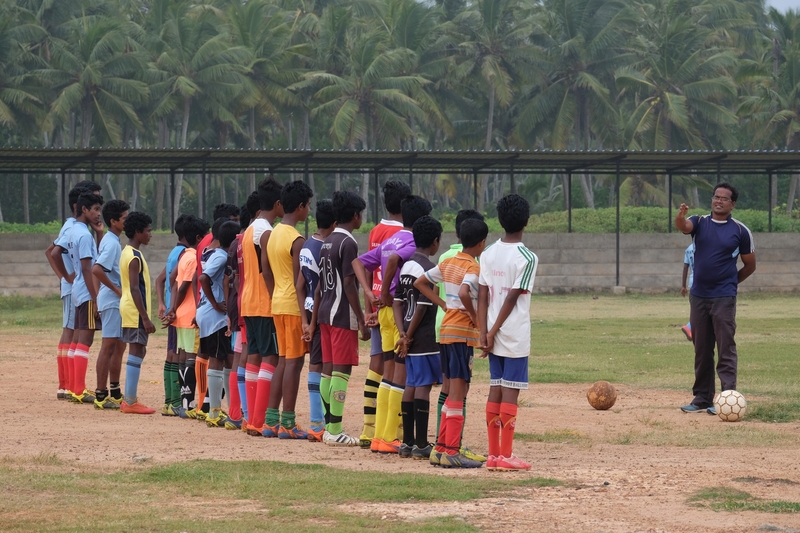 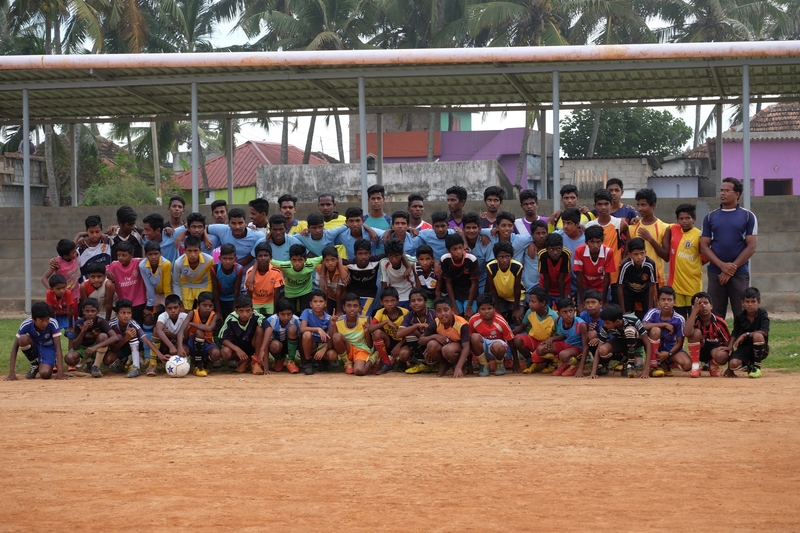 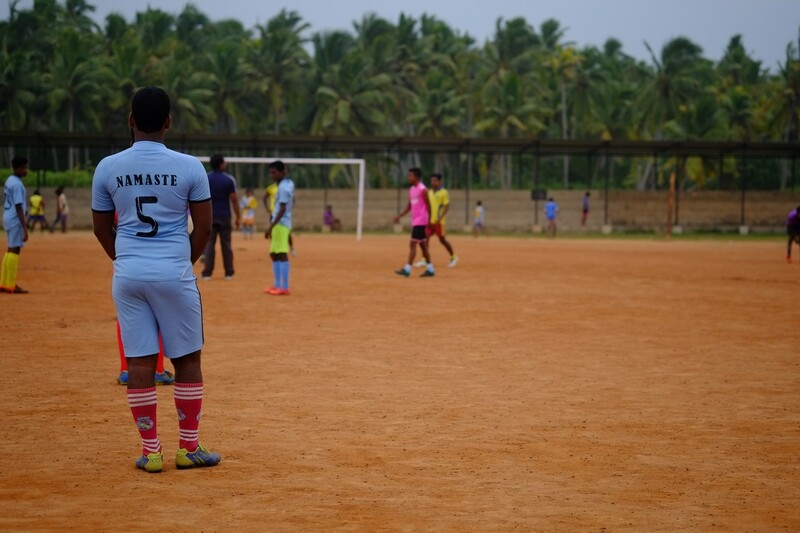 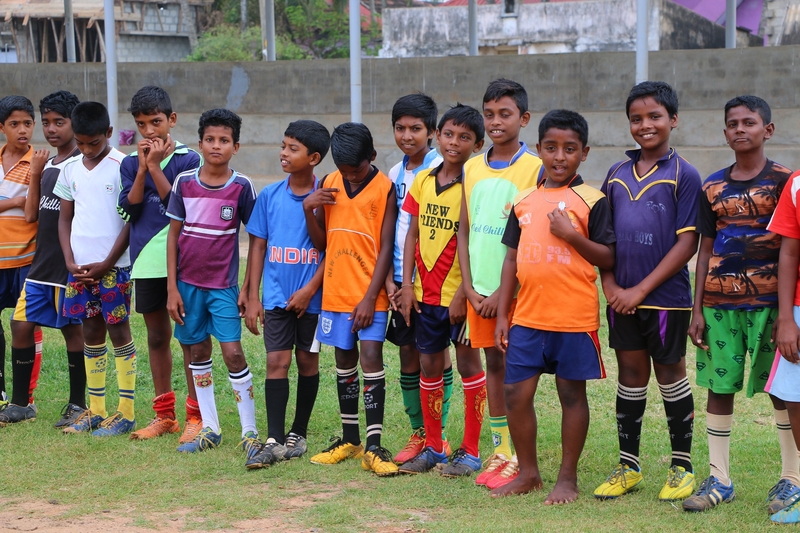 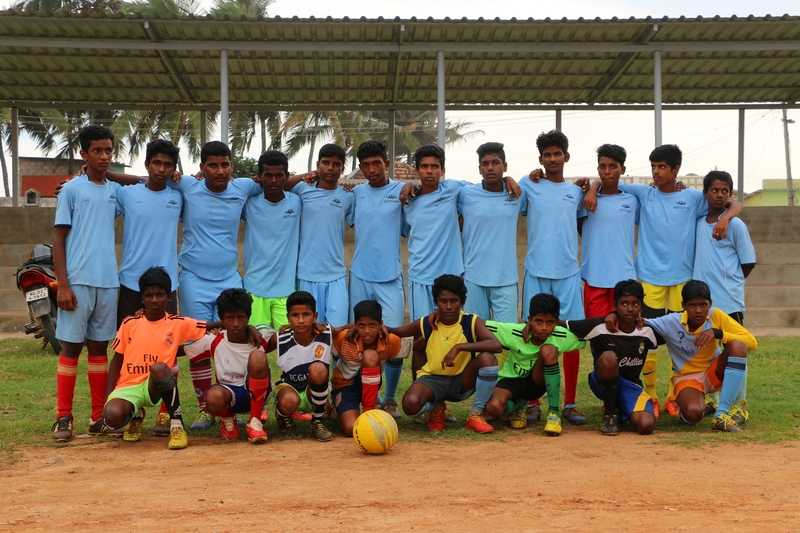 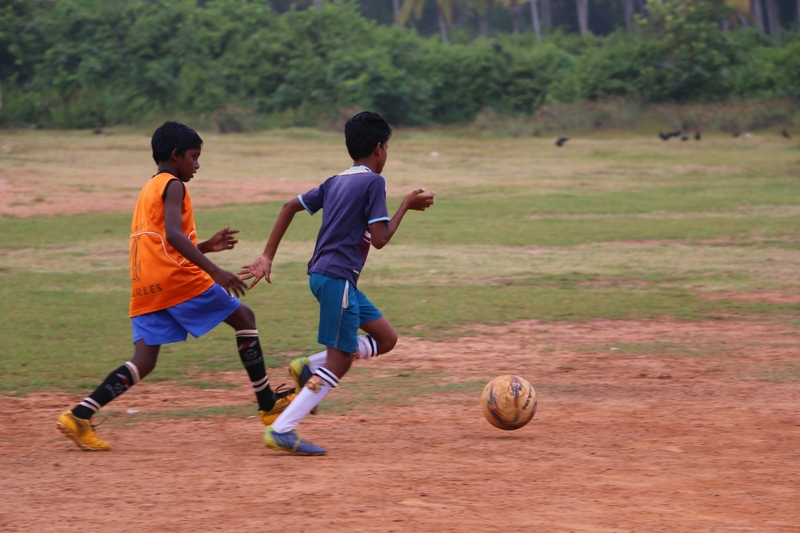 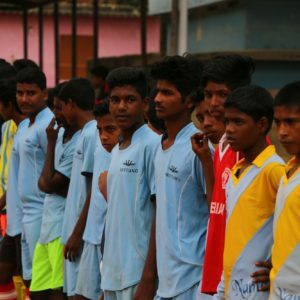 This is where the little athletes of Namasté’s Football project play. 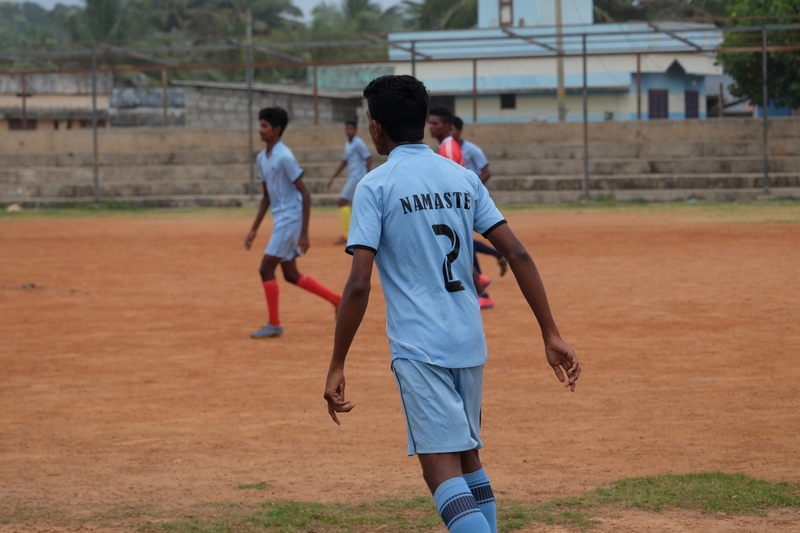 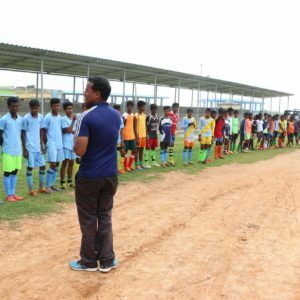 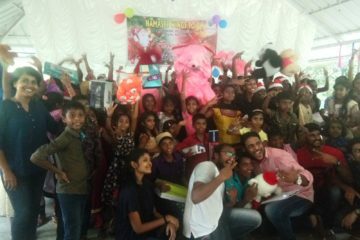 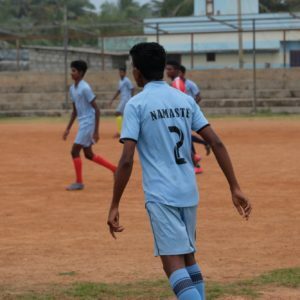 The group consists of about 60 children and teenagers, from 9 to 15 years old, split in two teams: the Nettuno, which is the Junior team, and the Pozhiyoor Seagulls, the Senior team. 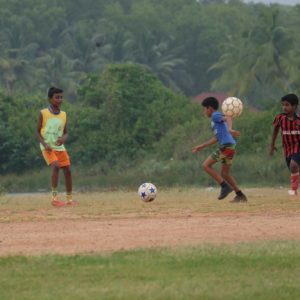 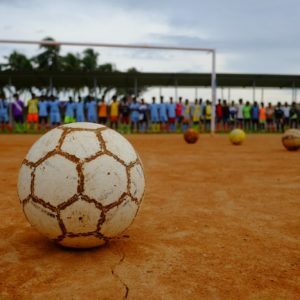 All children are enthusiastic and eager to play, they are passionate about football and committed to the trainings that take place 6 days a week. 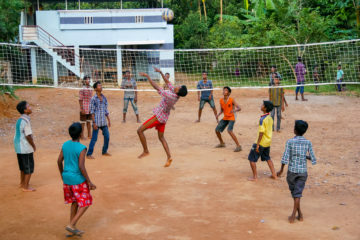 Besides its social goals, this project also has educational purposes. 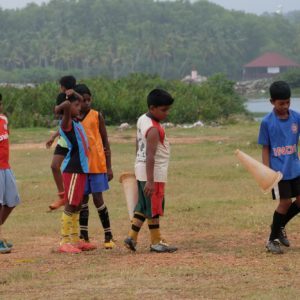 Team sports are excellent “life schools” as through them, children learn to cooperate, respect the rules and control themselves.